Sales Professionals – Your Summer Reading List of All Things Sales – Part 3! Ready for additional reading selections? Below is Part 3 of the Summer Reading list. From building a sustainable business to culture to shifting your prospecting opportunities using trigger events. Great selections. For the entire list of 2011 Sales Reading suggestions click here for your own pdf. Many of the authors have great FREEBIES on their websites as well. 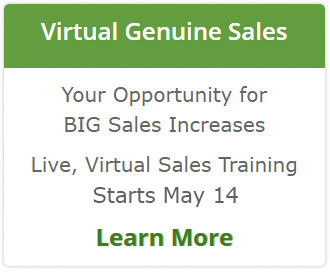 Read through the list and select 3-4 that will help YOU (or your team) advance sales, grow your business, strengthen customer loyalty and earn everyone year end bonuses! #CORPORATE CULTURE tweet,by S. Chris Edmonds, foreword by Ken Blanchard. This book of short & sweet aha’s will help you understand the impact of your team’s culture to drive sales success. Edmonds’ is Blanchard’s culture guru and shares the best practices of high performance, values-aligned teams in 140-character quotes. No matter if you run a team of 1000’s or of 2, you need this book. EnergizeGrowth NOW: The Marketing Guide to a Wealthy Company, by Lisa Nirell. Growing a sustainable business doesn’t have to be draining. Yet in today’s crazy-busy B2B marketplace, it can be tempting to pursue risky business. By applying the contrarian wisdom you’ll find in Lisa Nirell’s newest book, you can combine strategic planning with smart marketing to spur intelligent, long-term growth. Energize Growth® NOW is a great resource to help you achieve that. Full Steam Ahead: Unleash the Power of Vision in Your Work and Your Life, by Ken Blanchard and Jesse Lyn Stoner. Summer is an ideal time to reflect on whether the path you are on is likely to get you where you want to go. Full Steam Ahead! clearly and simply lays out the steps to get where you want to go, for your team and for yourself, in the format of an enjoyable story. SHiFT! Harness the Trigger Events that TURN PROSPECTS INTO CUSTOMERS, by Craig Elias. When you get to highly motivated decision makers at EXACTLY the right time the sale almost happens by itself. By luck or sheer numbers you’ve had timing happen before, this book will show you how to make it happen again, and again, and again. Get out your sunglasses and beach chair and open a great book!